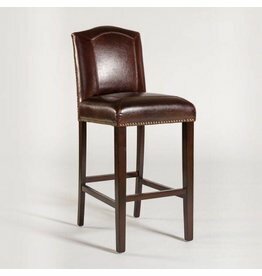 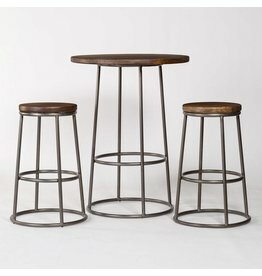 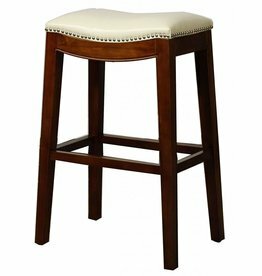 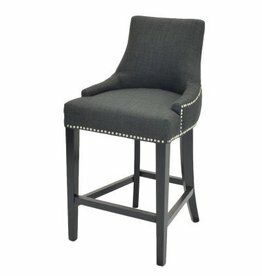 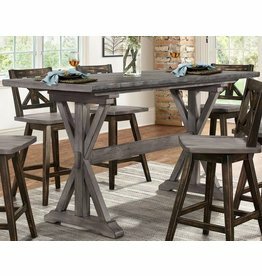 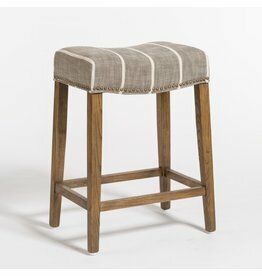 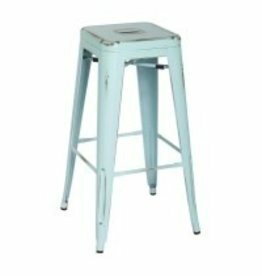 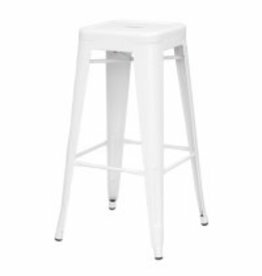 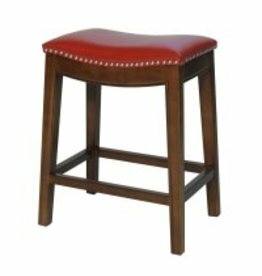 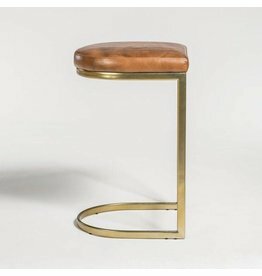 Pick your choice of bar or counter stools that fits your comfort, style, and budget! 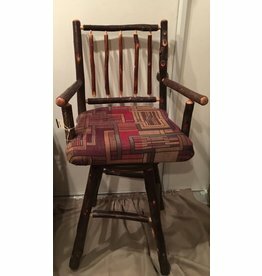 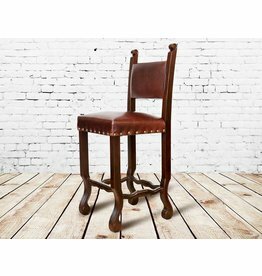 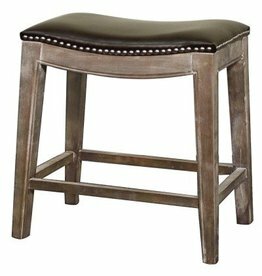 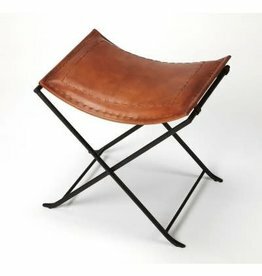 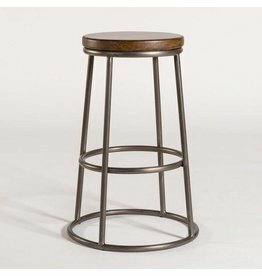 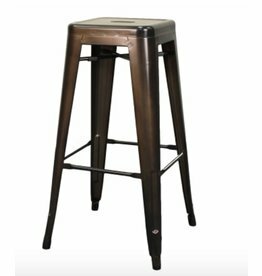 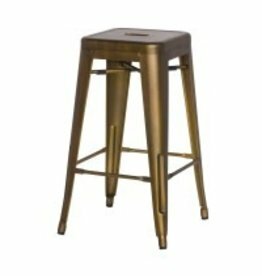 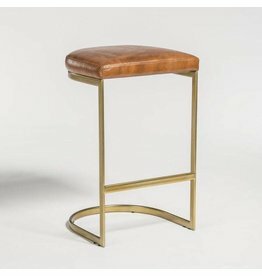 This hand crafted metal stool has natural goat leather in antique brown color. 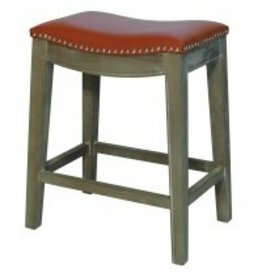 The leather is upholstered over plastic molded seats for strength and comfort. 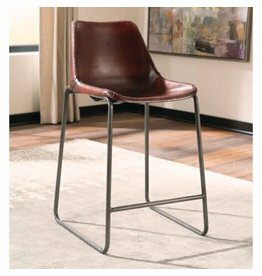 Inspired by the sophisticated vibe of the best open floorplans of New York City, we created the Loft Collection to bring people together. 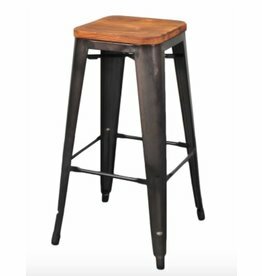 And with solid steel and wood construction, these standouts will last for thousands of great conversations. 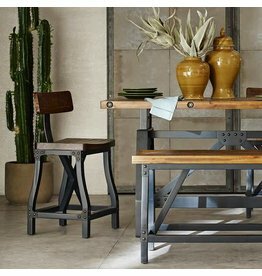 The cathedrals of Europe inspired the subtle arches of our Cloister Collection. 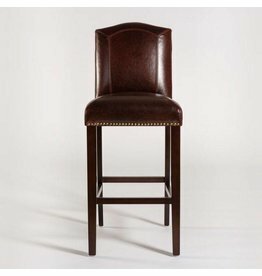 We added antique brass nailheads and a touch of stitched tailoring to mirror the shape and give the Cloister Collection an appealing symmetry.